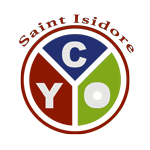 Please join your fellow youth of St. Isidore Parish, get exercise and build long term friendships by joining our Varsity Baseball team. Boys in 7th and 8th Grades that have met CYO Athletic requirements. Practices are during the week starting in March at Connie Mack Field 2 or the Freshman Center fields. Approximately 10-12 Games will be played in April and May.